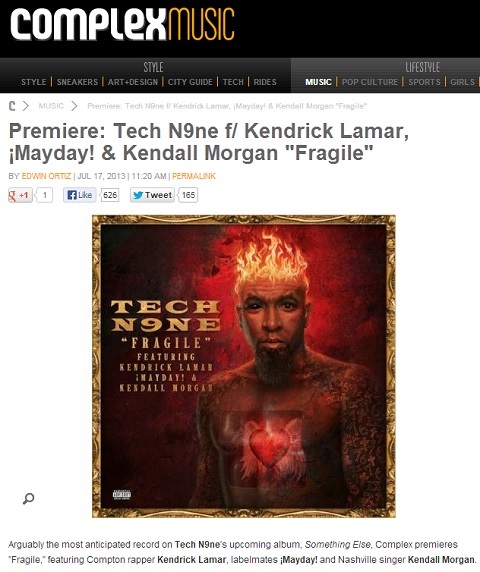 Tech N9ne enlists the help of Kendrick Lamar, Wrekonize and new face Kendall Morgan in one of the most touching songs of his career. 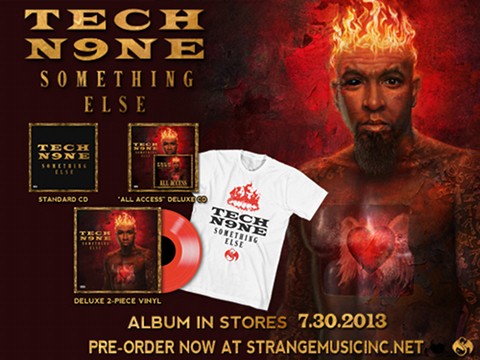 The song “Fragile” from Tech’s upcoming album Something Else saw its premiere on Complex.com. The track, produced by ¡MAYDAY! along with Ralfy “FAFA” Valencia and Danny “Keys” Perez, features a haunting and powerful soundbed, plus what could be Kendrick Lamar’s most ferocious verse ever recorded. Wrekonize and singer Kendall Morgan add an unforgettable chorus to complete what is sure to be an instant classic and one of the most talked about songs of the year.